Look nowhere other than us for renting construction equipments! Today renting is gaining importance then buying especially when it is about heavy equipment which construction, mining, and aggregate industry require. The reason is very simple; renting saves you from investing huge capital for buying construction equipment and will save you from the tension of regular maintenance of the equipment, storage costs etc. If you are handling any construction project may it be commercial, residential or municipal, you will need equipment like hydraulic breaker, scissor lift, boom lift, forklift, excavator etc. when you are looking to rent this construction equipment for your project, the best reliable and affordable source in Singapore source is JSB Equipment. The construction equipment provided by JSB is best and second to none! Our vision is to create the most customer oriented construction equipment company in Singapore. Our mission at JSB EQUIPMENT is to provide a comprehensive range of product for our customers with products and services of the highest quality at a competitive price accompanied by unsurpassed customer service to exceed their expectations. Safety: We work “Safety is no accident”. Honesty: We practice honesty and integrity with employees, customers and suppliers. Respect: We are a good listener and always respect the beliefs and ideas of everyone. Performance: We continuously motivate our employees to always perform to the best of their capabilities and exceeding the expectations of our customers. Communication: We are accessible by all means 24/7 everyday. Attitude: We maintain optimism and remain dedicated to carry out our business according to our values. Our people are been providing our equipment and services to construction, mining, and aggregate industry for over a decade and we have many happy clients who have helped us in gaining a reputation in this industry. We provide you construction equipment on rent for a longer period as well as shorter periods whatever your requirement is. 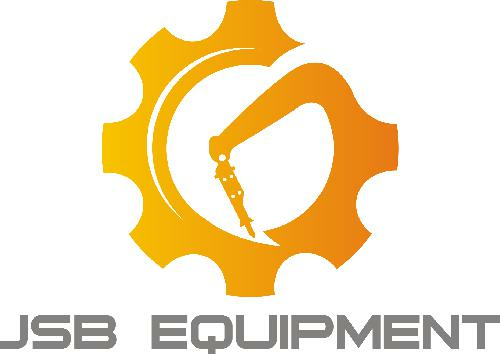 At JSB, we know that you totally depend on your budget and the equipment to complete your job and that’s why you should rent construction equipment from us may it be a hydraulic breaker, fork lift, excavator or any other because you will find all our rental fleet in best and reliable condition. We are also distributer of Korean brand Jisung equipment in Singapore. So, when it is about renting construction equipment you can trust us completely because we have the right tools for your construction project and we also promise that all our equipment are highly reliable as they are maintained in the excellent condition that will meet and exceed your prerequisites. We work really hard to deliver the right equipment that you need. We have complete knowledge and understanding of how our equipments work and so we can answer any question you may have and help you easily match the equipment to your need.